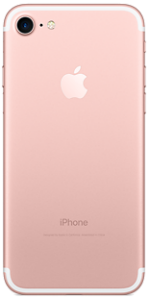 The Apple iPhone 7 is the latest 4G LTE smartphone from Apple. It comes with a 4.7-inch IPS LCD display with 750x1334 resolution and 326ppi index. From within, a 64-bit Quad-Core Apple A10 Fusion processor operates with 2GB of RAM. 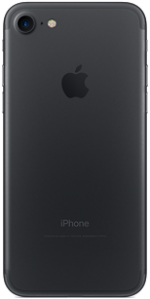 Like other Apple devices, you can choose your onboard storage capacity—the iPhone 7 comes in options of 32GB, 128GB, and 256GB. The device has a 12MP rear-facing camera with 4K video recording quality and a 7MP camera in front. Upon release, the phone runs on the latest iOS 10 update. 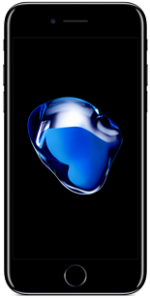 Other features include a non-removable battery, Apple Pay, Touch ID, and IP67 certification for water and dust resistance. Colors include Jet Black, Black, Gold, Silver, and Rose Gold. Instead of a 3.5mm headphone jack, Apple has replaced it with lightning headphones. The iPhone 7 is right around the corner! In this video, we are going to paint a picture of the iPhone 7 to show you what it will feature based off the latest leaks and rumors. Apple Event Recap: iPhone 7, iPhone 7 Plus, Apple Watch Series 2 and More! A recap of all the major products announced at Apple's Event on September 7th. The brand new iPhone 7 and iPhone 7 Plus have arrived! In this video, we unbox the iPhone 7 in Jet Black and Black! Top 10 iOS Apps of September 2016! We've compiled a 'Top 10' list of our favorite iOS apps to hit the App Store in September 2016.
iPhone 7 Review: One Month Later! Our iPhone 7 Review is in. Top 10 iOS Apps of October 2016! We've compiled a 'Top 10' list of our favorite iOS apps to hit the App Store in October 2016. 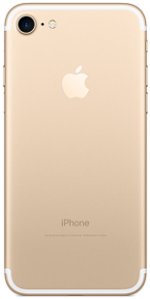 Best Smartphones of 2016: iPhone 7 and iPhone 7 Plus.